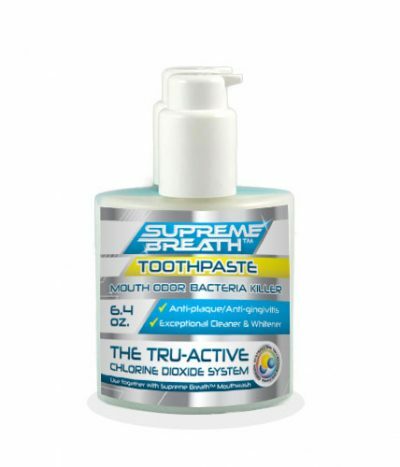 This is the companion to the Supreme Breath™ Mouthwash. When used in combination, it is the best ONE-TWO PUNCH against the odor and bacteria that cause bad breath. 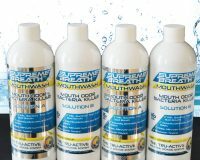 Like the mouthwash, it was designed to be the most effective product on the market. 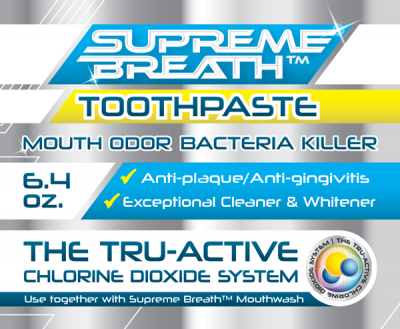 Supreme Breath Toothpaste is the perfect complement to the Supreme Breath Mouthwash. 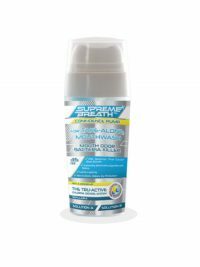 Together they enhance the bacteria killing power and the odor killing properties. Because these products kill the anaerobic (without air) bacteria, they are an integral part of the TOTAL CURE at the National Breath Center. 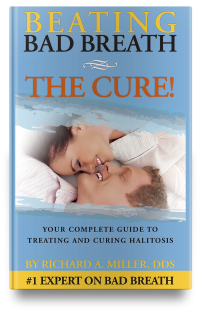 They are also included in the maintenance protocol for those who have had their halitosis eliminated. When used as part of the Beating Bad Breath Protocol, it kills the bacteria and the odors of bad breath and helps the gum tissue by killing bacteria that cause gum disease.